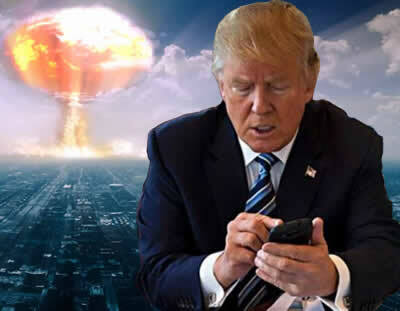 Trump threatens nuclear war. Impeach him now. Trump is threatening nuclear war on North Korea. As your constituent, I urge you to support the impeachment of President Donald Trump for the reckless abuse of threatening nuclear war on North Korea in violation of the United Nations Charter and U.S. Constitution.